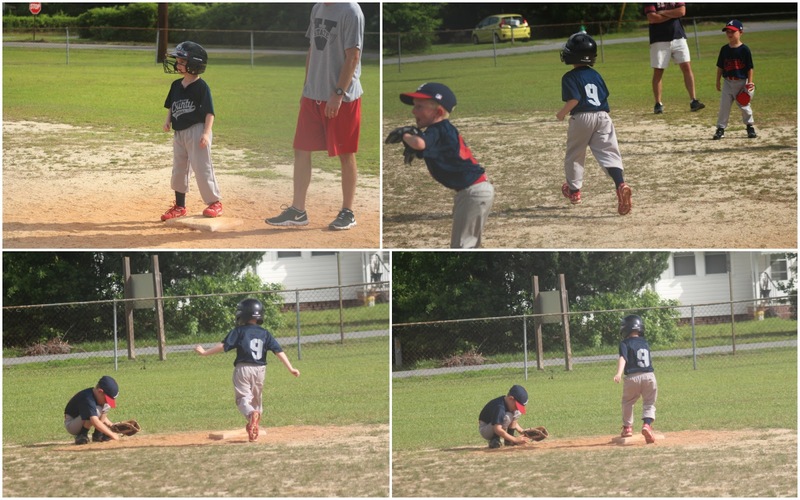 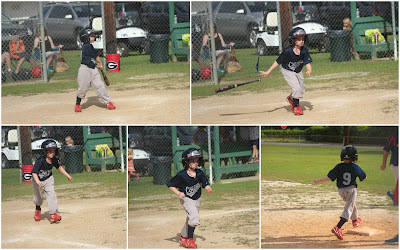 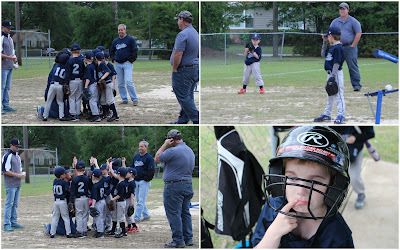 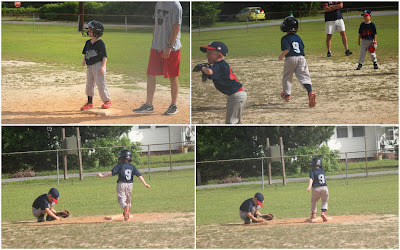 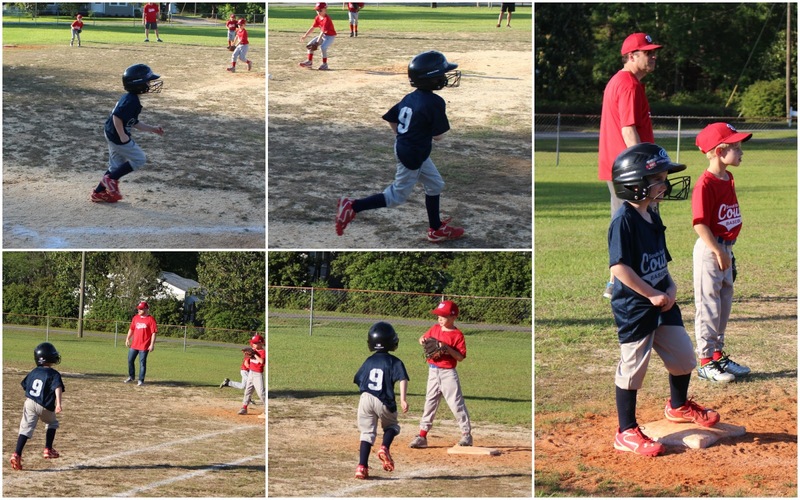 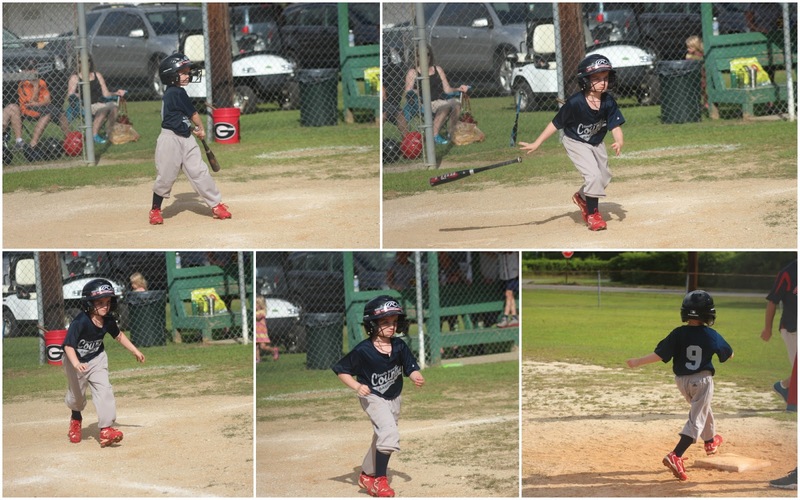 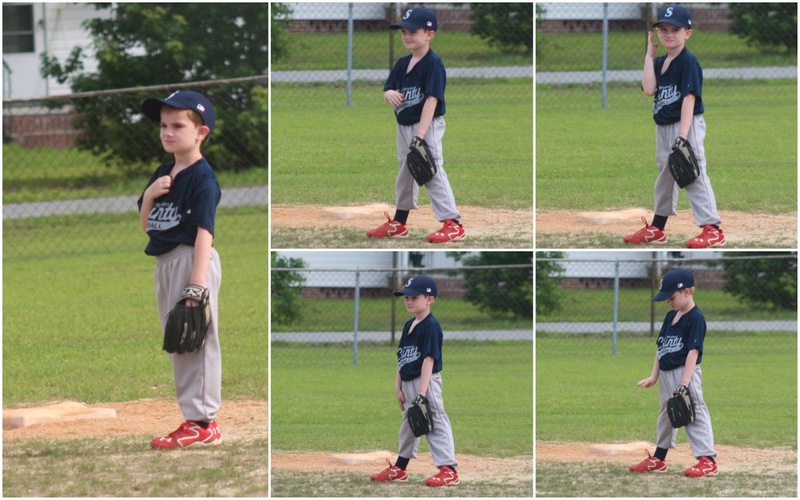 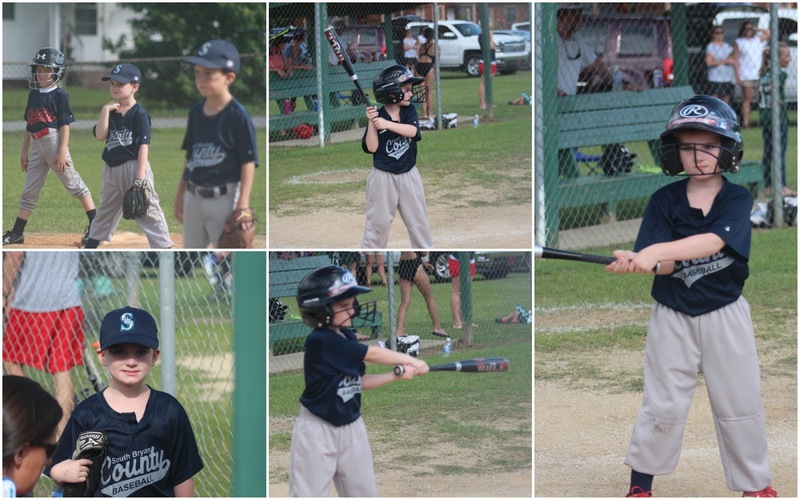 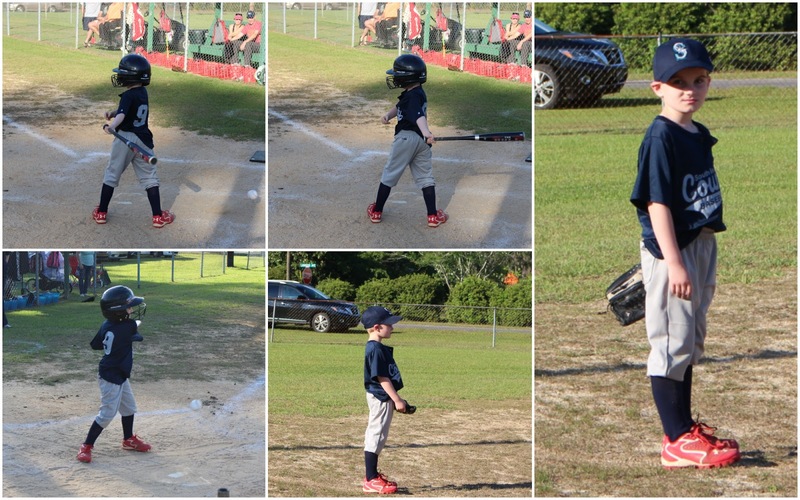 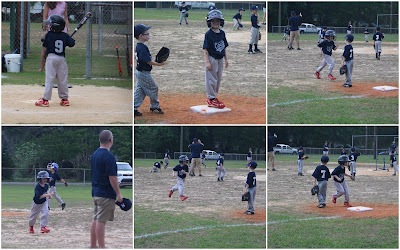 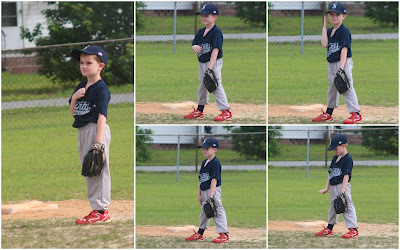 Brody continued to progress in his sports abilities this Spring playing Spring pitch baseball. 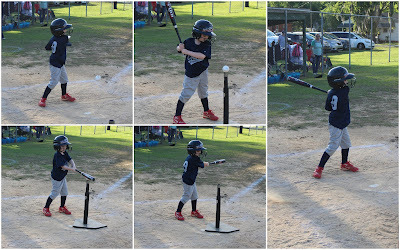 They had the opportunity to hit pitches from the slow pitch machine although they could hit off the tee if they couldn't hit the first three pitches. 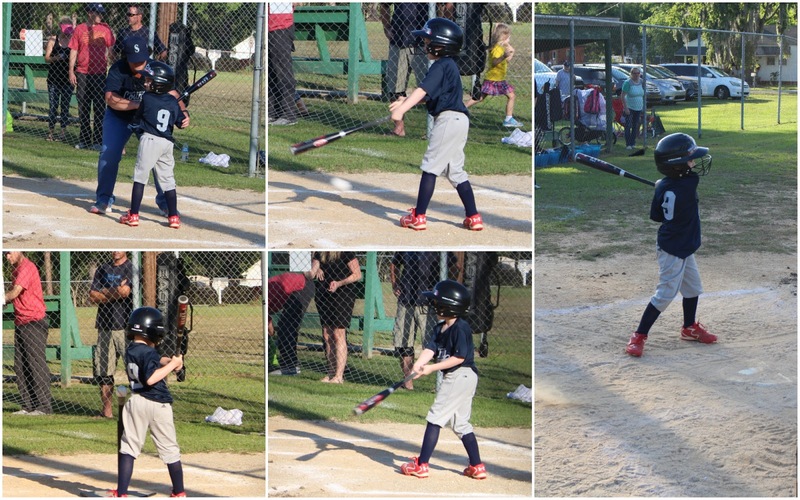 After practicing hitting some pitches from Daddy, Brody was able to make some good hits from the machine. He really loved the experience of playing baseball this year and was so proud of his progress. 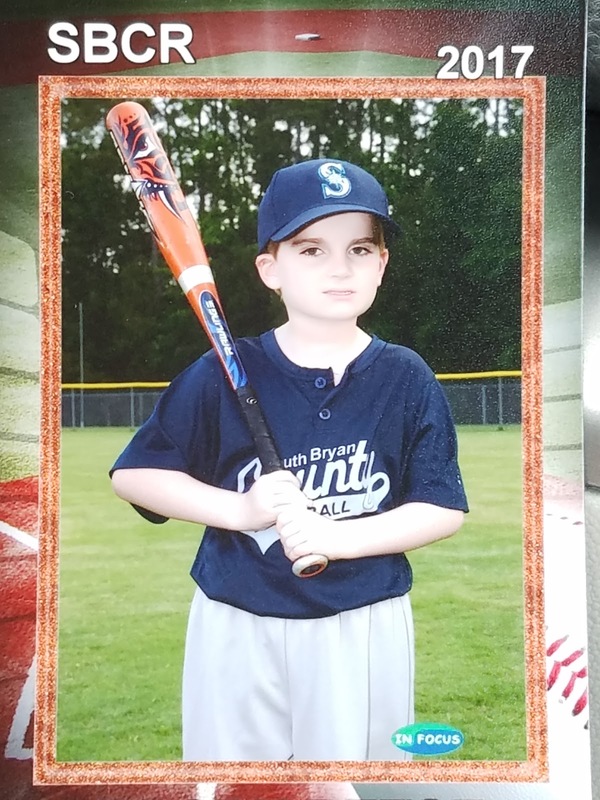 Brody's official baseball picture. 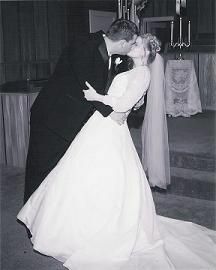 He was on the Seattle Mariners team this year. 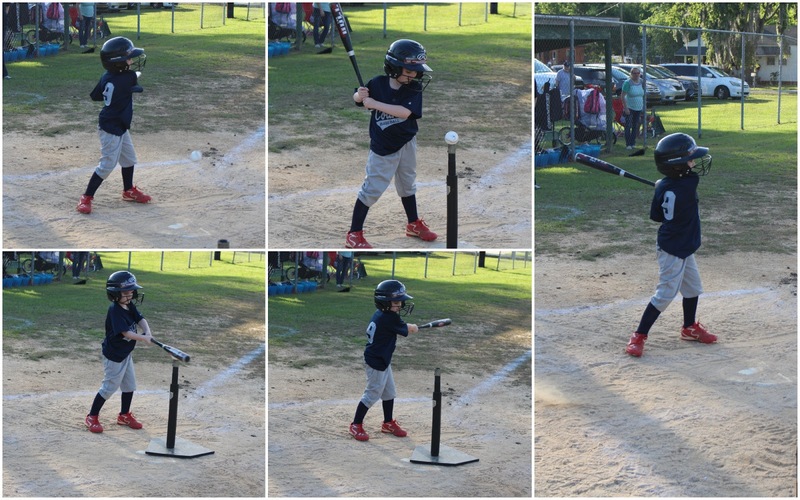 Preparing for a big hit. 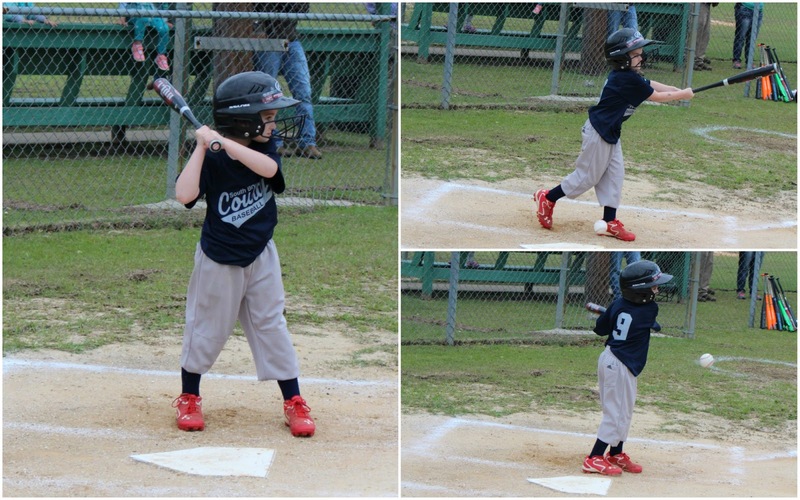 He was swinging like a pro. 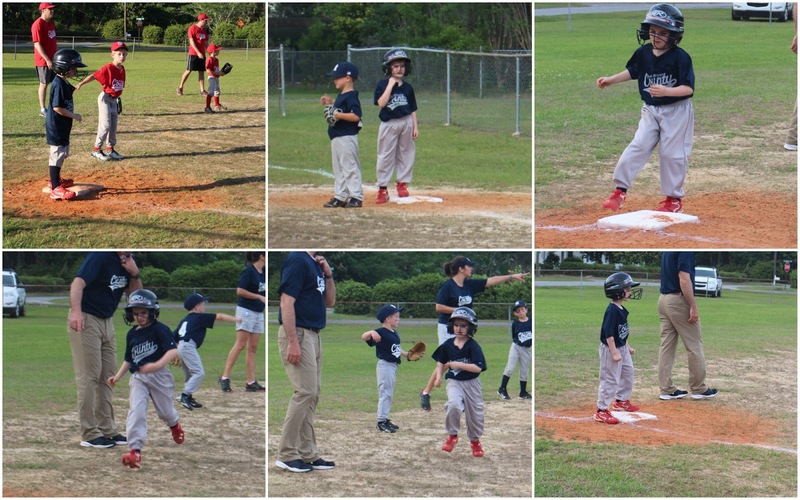 Professional at bat and in the field. His first game he did have to resort to hitting off the tee although he did tip the ball. Starting to run faster too. A little pre-game huddle with the coach. 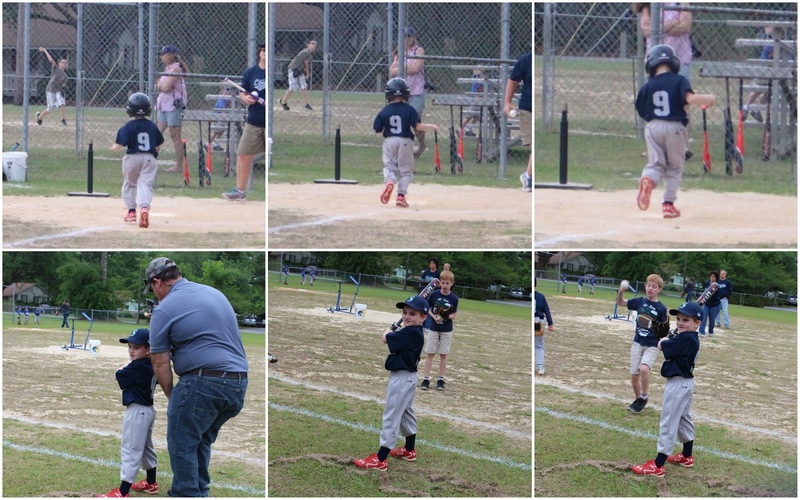 And he got his first hit off the pitching machine! 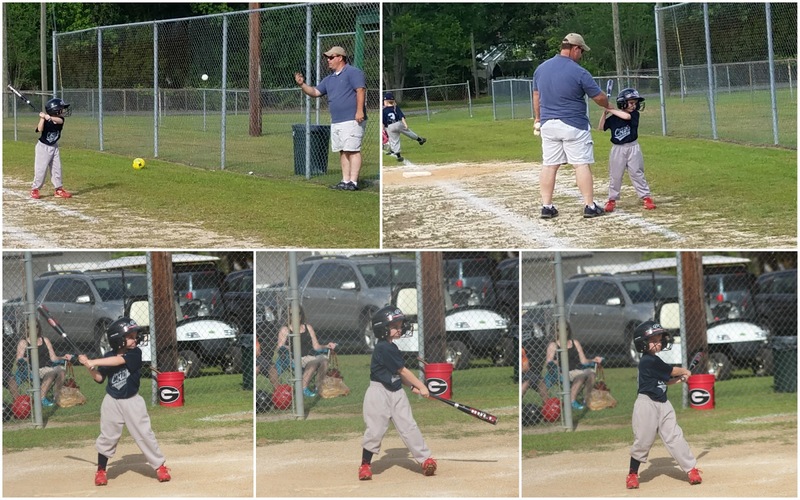 He hit every time at bat this game so obviously practice with Daddy helped. 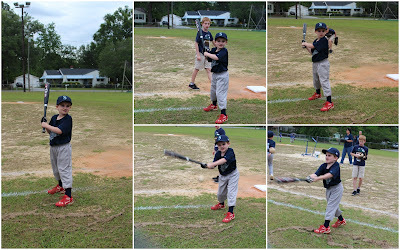 Most of the kids did have to hit off the tee most of the season after trying to hit their first three pitches. 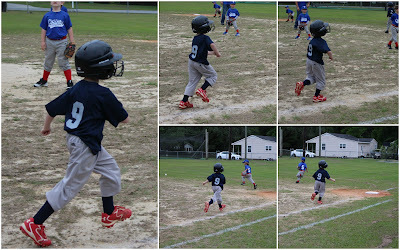 I love the way he runs. 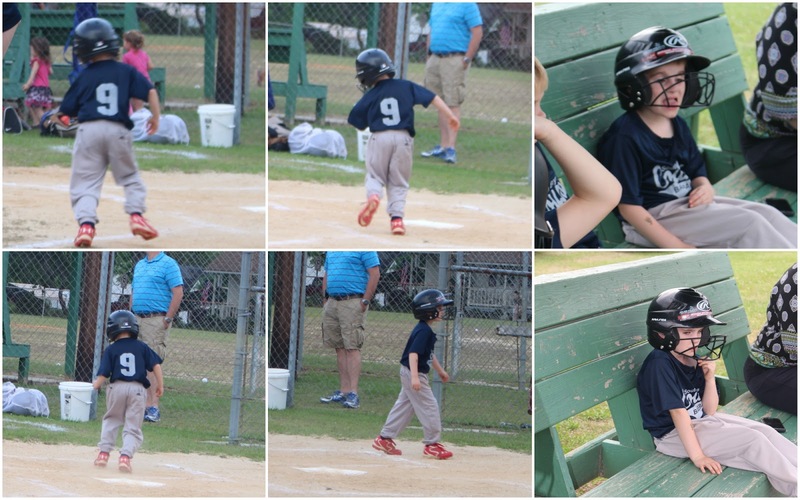 Some of his expressions are funny. 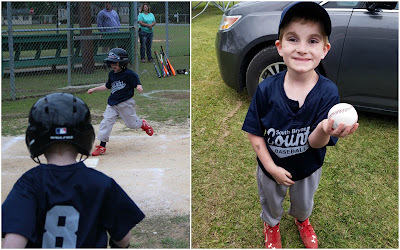 He got his first game ball for hitting all of his pitches off the machine this game. 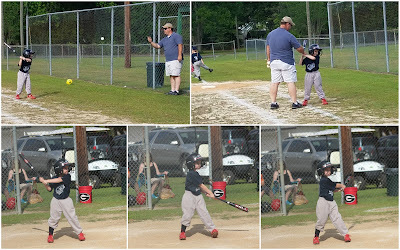 More practice with Daddy before the next game. 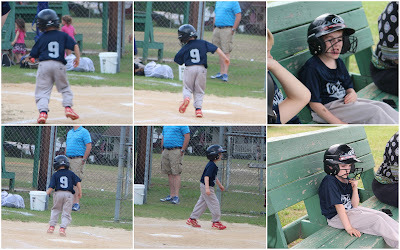 Another good hit and running to first. 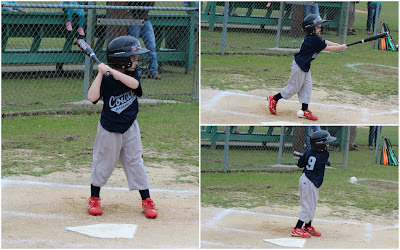 My cute little ball player. 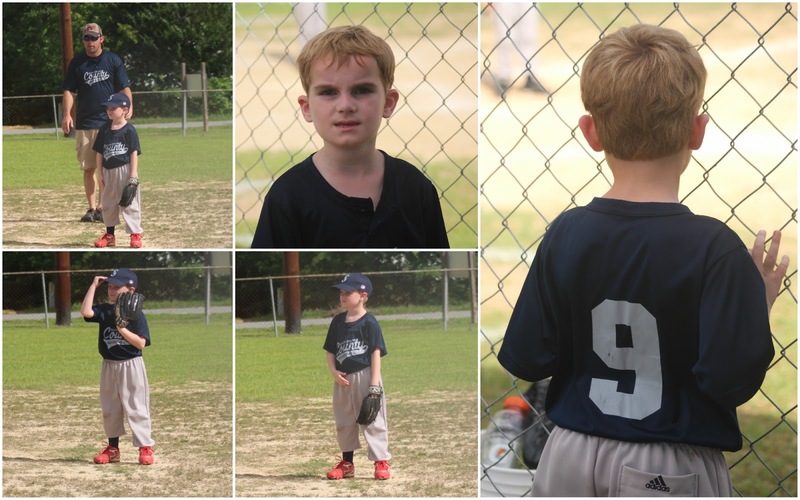 I love these days at the ball field. 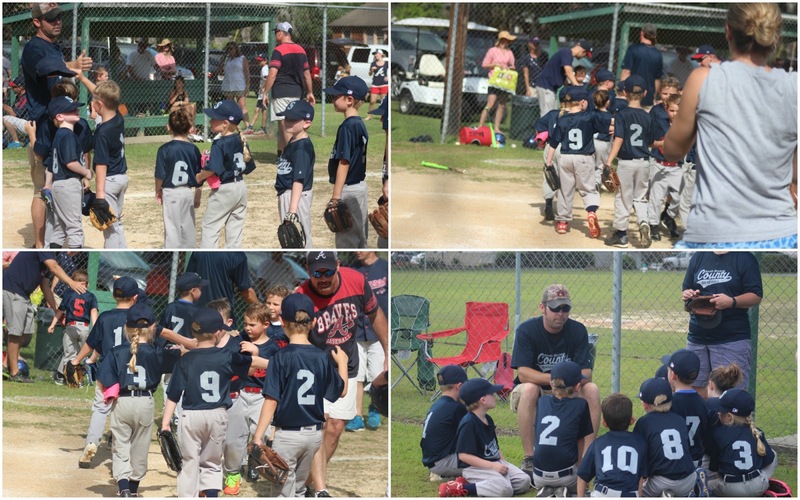 After game high fives and a coach talk. 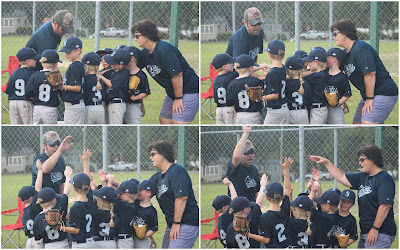 One last coach cheer to end the season. 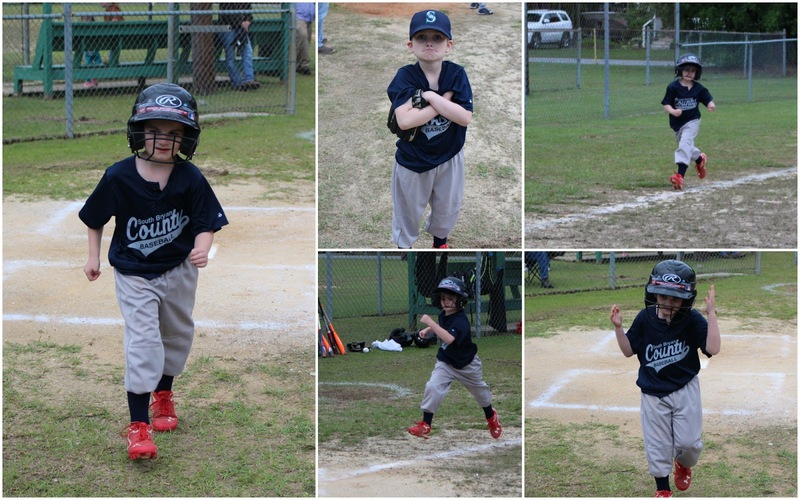 Brody's team. He had sweet coaches this year. 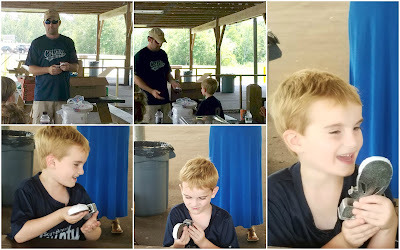 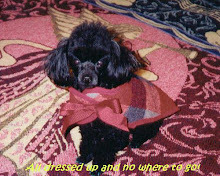 His coaches organized a little get together at the park with pizza, cupcakes and trophies. 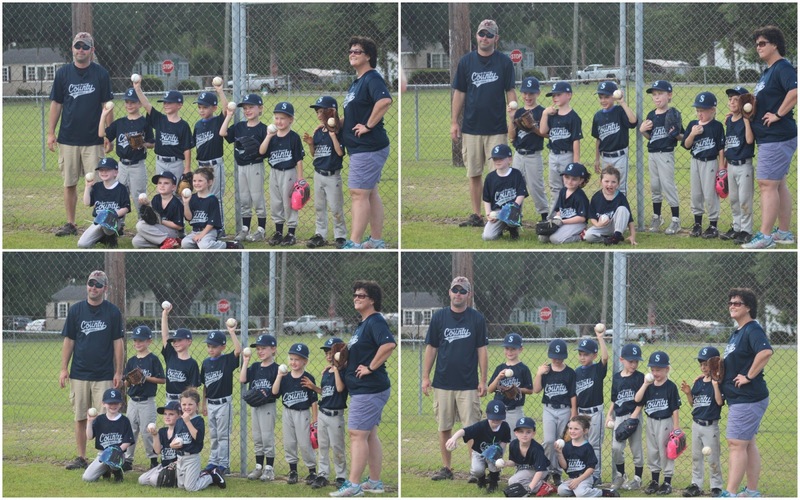 The league doesn't give out trophies so we all chipped in to buy them some. 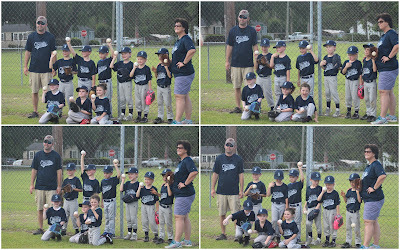 I think at this stage the kids appreciate getting a trophy to remember their experience. Evan always played for leagues that gave trophies in his early years of ball playing so I would be sad if Brody didn't get some too. 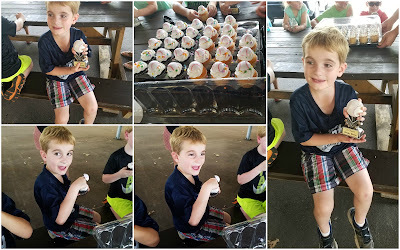 Baseball cupcakes and trophies make a winning season!